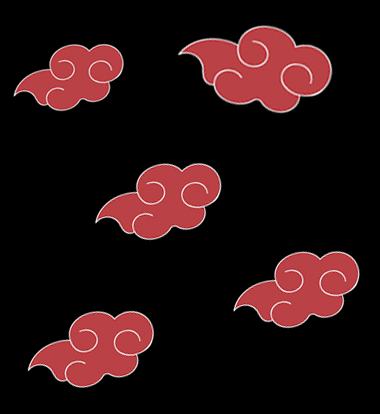 I stared into the sky wondering how everyone was doing, Naruto, Sasuke, Sakura, Neji, Lee, Tenten, Kiba, Hinata, Shino and everyone else. "hmm..." i closed my eyes and let the wind blow and I let out a sigh. There was a shift in the air and I swiftly activated my Byakugan and looked behind me then blocking the kunai with mine. I then looked around before activating my Sharingan. "Who's there?" I demanded looking around the trees. "Hmmm" I sniffed the air and saw a guy standing in the bushes, "Hmmm, haven't been able to find anyone else as old as you yet?" the guy taunted as I realized who that was, "heh, looks who's talking..." I hissed. another guy sidesteped, "Well, well well...if it isn't Jet, and Wolfe... " I hiss as they grin. "aww...thats no way to treat friends.." wolfe laughed and I glared. "Upset that all your mortal friends died?" Jet taunted as I walked closer so we were only a couple feet away. "What did you say?" I growled. kyroru then whent over to the hose to hide behind as he peeked frome the corner to see what was going on. ''Uh....'' I saw the big guy. I smirked. Suddenly I was running so fast around the two people I began to create a tornado in the area. ''I'll teach you to mess with friends!'' I jumped up and used my fist to punch the jet guy in the jaw and kicked the wolfie guy in the chest. however they were already out, "Foolish girl, we are the kages, we are only hear for a check in..." jet laughed as wolfe moved to the side, "Should I unleash my first demon?" wolfe asked as I was on a knee holding my hands growling, "Try it wolfy..." I hissed and Wolfe frowned.